This is another hard one. 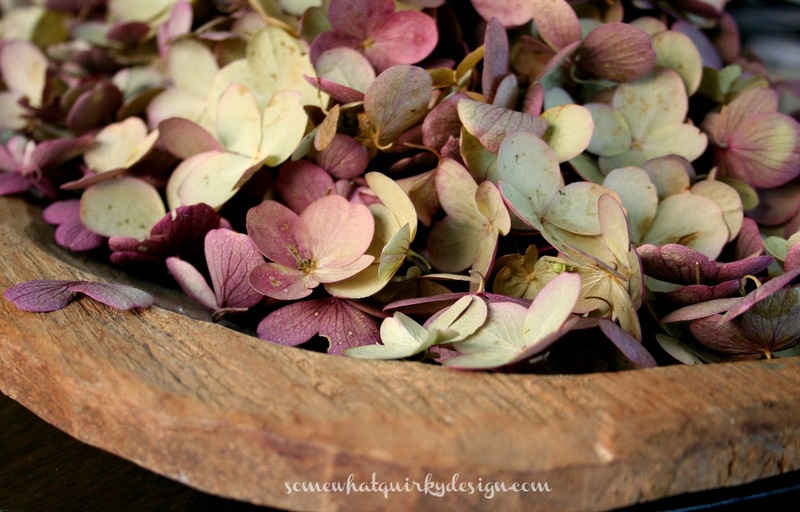 Remember all those Quickfire Hydrangea blossoms I gathered? 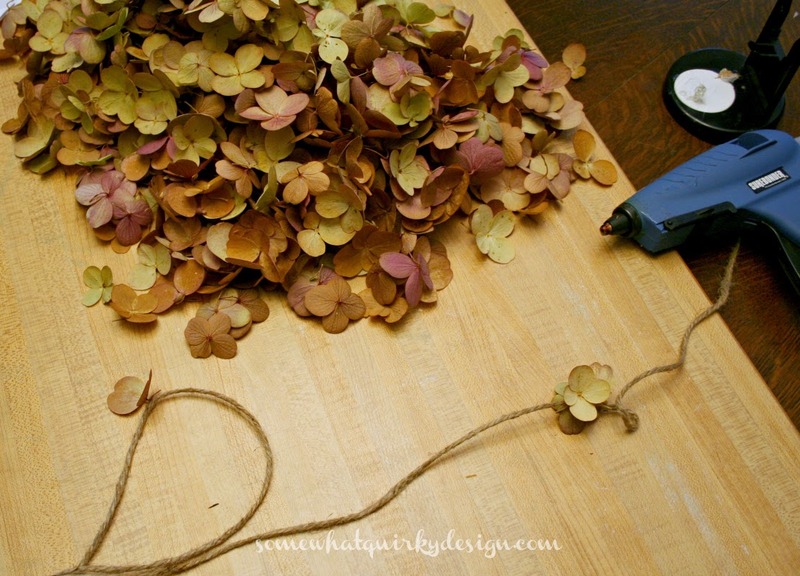 You can make a lovely garland with them. Or at least I think they are lovely. Glue two blossoms back to back with the twine in the center. Make it as long or short as you like. Then put it somewhere so you can see how pretty it is. FYI the petals in the first picture are from 2013. The petals in the 2nd picture are from 2012. The blossoms aren't exactly the same color every year. And since the color deepens the longer you leave the blossom on the bush, when you harvest them can effect the color. The end of the Quickfire Hydrangea festival of crafts. In case you missed it you can see the Easter eggs here, and wreaths here, and here. Labels: hydrangeas, spring, spring decorating. 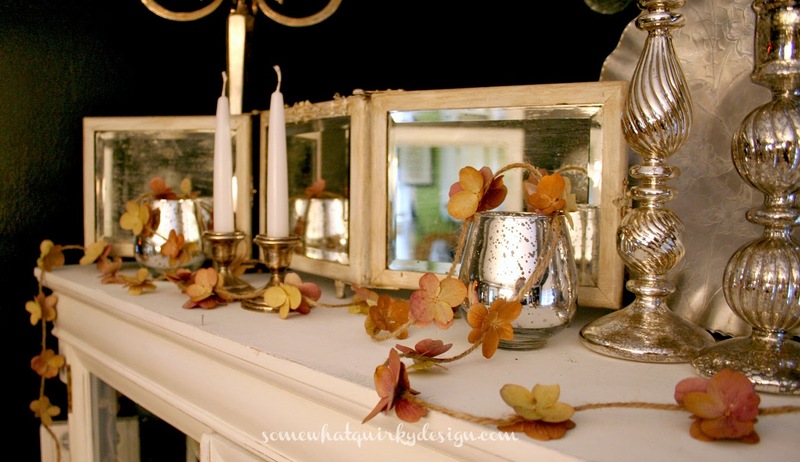 What a pretty mantel. The garland is pretty too, but looks like it may be tedious to do. I don't think I have the patience. Good job! Oh this is my favorite project with those leaves yet!! How simple and fun! So dainty, yet such an impact. I would definitely copy you if I ever get my hydrangeas above the 'puny-fire' status. 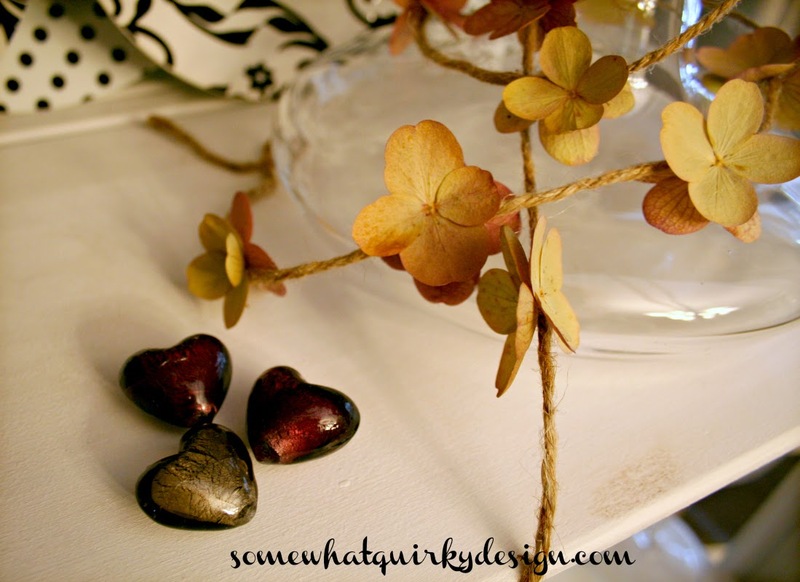 frickin adorable, I love, love love all hydrangea projects. Since I don't have any quickfire hydrangea I'm thinking of using "fade" one. This must be pretty hardy as far as temps, Detroit should be about the same as IL. I'm going to be on the lookout for these this summer!